The biggest challenge for HR professionals today is to help their respective organizations succeed. HR professionals often focus internally on the function of HR rather than externally on what customers and investors need HR to deliver. If HR professionals are to truly serve as business partners, then their goals must be the goals of the business. Transforming HR professionals into business partners isn't the end in and of itself; it's the means to a strategic, business-oriented end. In HR Transformation, five top HR professionals capture both the theory (ideas, rationale and approaches) and the practices (tools, processes and actions) for creating a successful HR transformation. 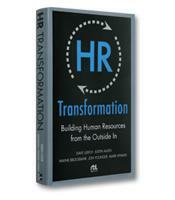 How HR transformation is not about normal HR tasks; it is about building business success. 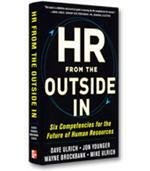 How to ground your organization's HR transformation to the context of business demands. How to transform HR in a way that focuses on adding value to the business rather than simply optimizing HR as a function. How to integrate HR practices with each other around key business results.